Bobby Holland Hanton is a case in point. You've no doubt seen him in a Hollywood blockbuster before without realising - and now he's Chris Hemsworth's stuntman in Avengers: Endgame. He has doubled for Hemsworth for seven years, as well as performing stunts for Daniel Craig (Quantum Of Solace) and Christian Bale (The Dark Knight Rises). He's as much an athlete as he is a stuntman. Why is fitness essential for a stuntman? Hanton is a former gymnastics champion. When he became a stuntman, getting certified meant mastering everything from scuba diving to kickboxing, trampolining to the 25m high dive, parkour to acrobatics. 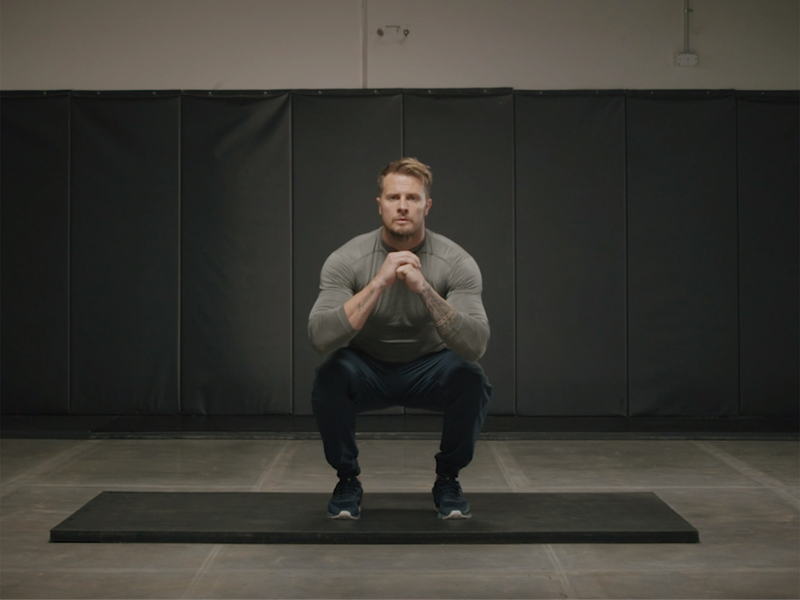 Now working together with Hemsworth on personalised digital health and fitness app Centr, Hanton has put together this complete core workout to help you carve abs of steel. Perform each exercise for 20-30 seconds, back-to-back, with no rest in between. Rest one minute after all five are completed, then repeat the sequence three to four times. By working the large muscles of the glutes, quads and hamstrings you will build muscle while burning energy. Mastering the Air Squat is a prerequisite for completing weighted squat exercises, and will have carry over benefits to all other lower body movements. This is used by everyone from professional athletes to fitness models to develop a strong and tight core. 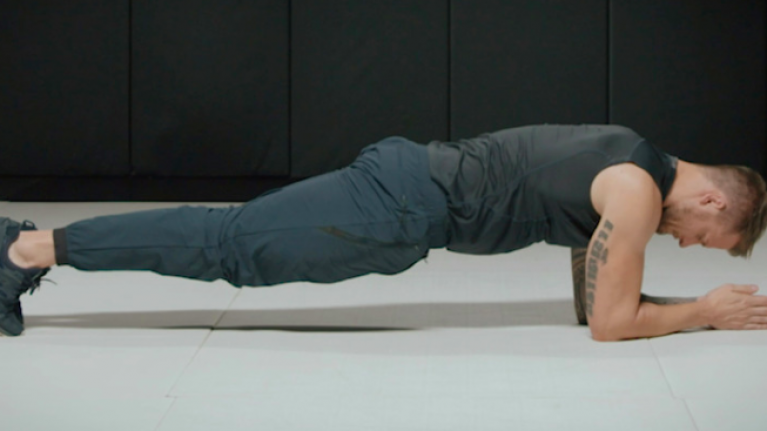 The humble plank is transformed in the Plank Pulse, one of the most challenging and valuable exercises in your toolbox. Add in the pulses to work your calf muscles. 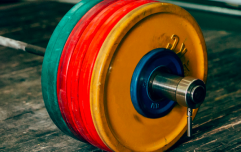 Rotational movements are sometimes overlooked in exercise programs, but their ability to build strong oblique muscles and whole-body stability is second to none. 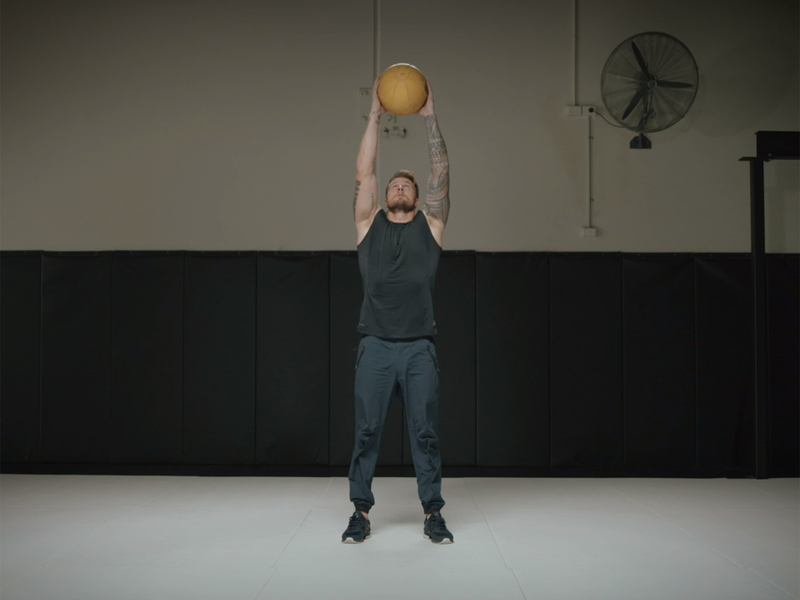 Although a medicine ball is preferred, this exercise can also be completed with a dumbbell (held sideways), kettlebell or anything else heavy. Sometimes your own body is all you need. Crawling exercises are used to build whole body strength, balance and coordination. Additionally, the Bear Crawl is performed at speed to increase the amount of energy and calories burned. Strengthening muscles in the back is important for shoulder health and good posture. Plus, Arch Hold Swims with a static extension boost your glutes and core. The 'swimming' movements performed with the arms will have you feeling the burn in no time. Ensure they are hovering for the entire movement.